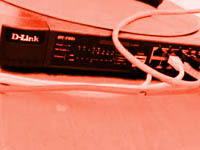 To make things easier, you can also setup hostnames for all computers you bring along right now - this way you can be sure they are known to the nameservers the time the party runs, and you already can setup external links etc. - you get the point. Please enter your handle and group, and a hostname for your box.